Have you heard of Patrick Blanc? If not, I’m betting you know about his brainchild. The vertical garden. Patrick is a French botanist who is the inventor of green walls. The first of which he constructed and erected at the Paris Museum of Science and Industry in 1988. 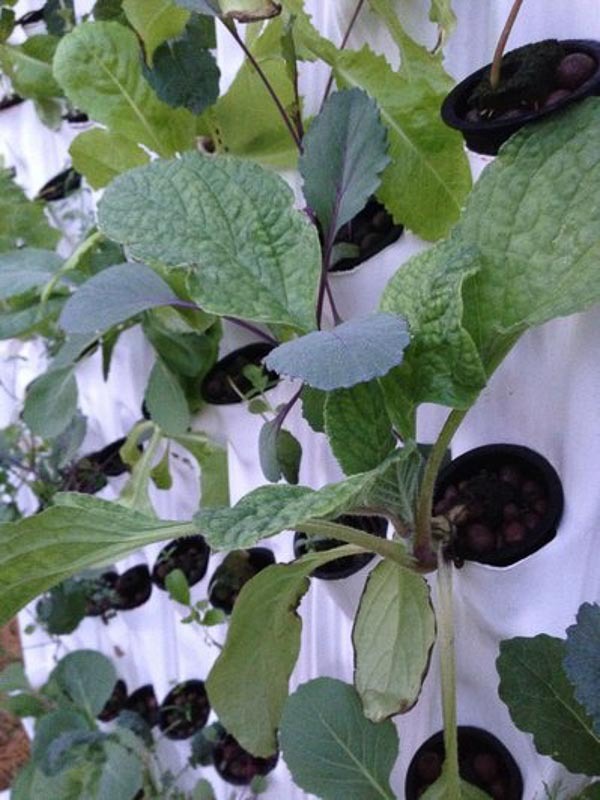 Blanc holds several patents for his vertical garden design. And since that first green wall went up in Paris, the whole world has been catching on to the concept of vertical planters and gardens. 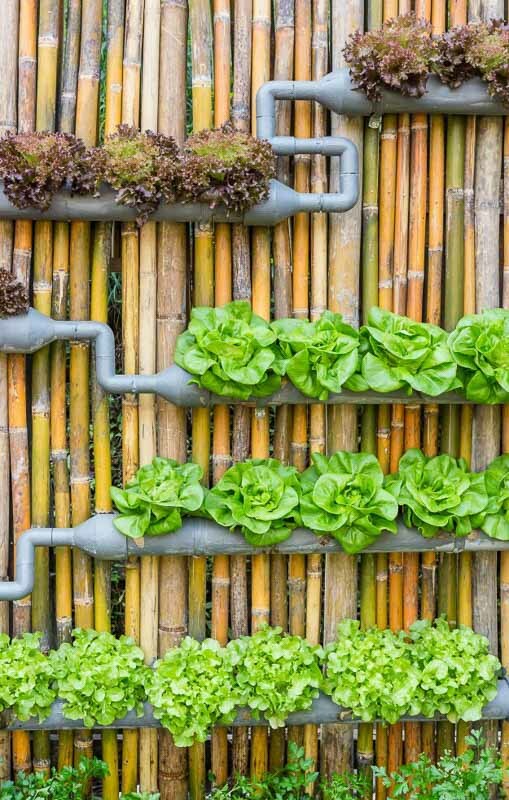 So just what is a vertical planter or a vertical garden? 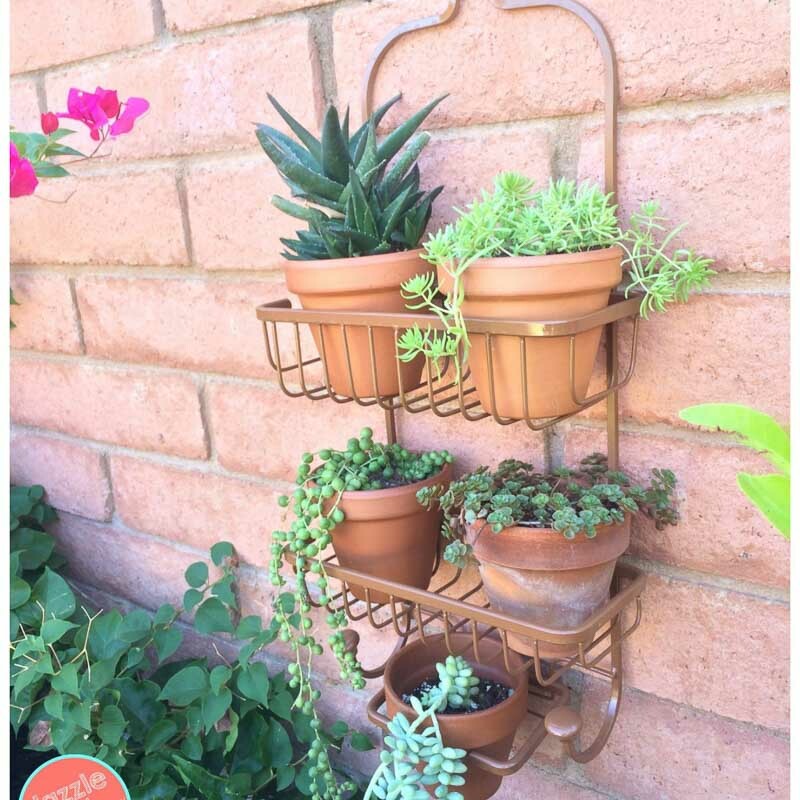 That term is used to describe the flowers, herbs, plants of various types to include succulents, as well as vegetables planted on a vertical surface rather than a traditional horizontal planting technique. 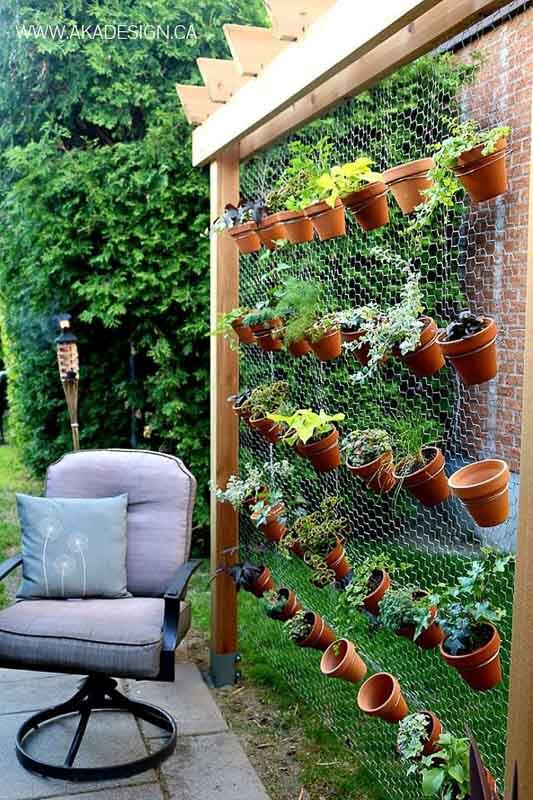 The term vertical gardening can also describe cultivating plants that grow naturally in a vertical direction, such as vines. 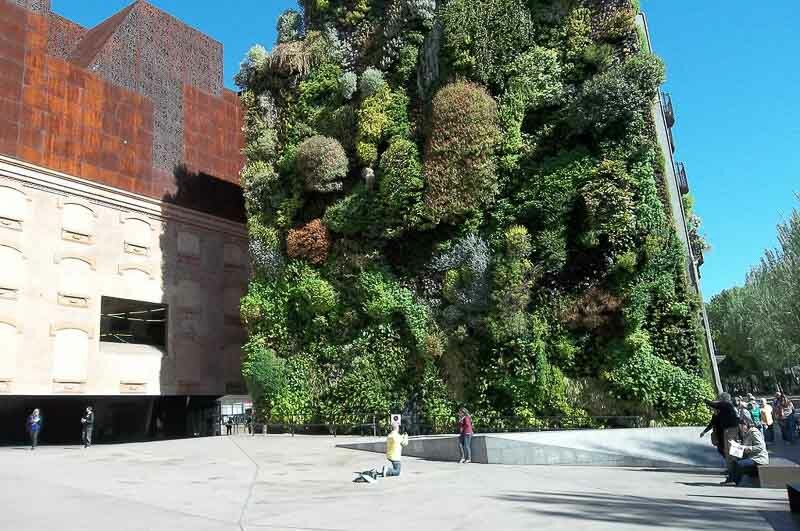 What is the difference between a Green Wall, a Living Wall, and a Vertical Garden? 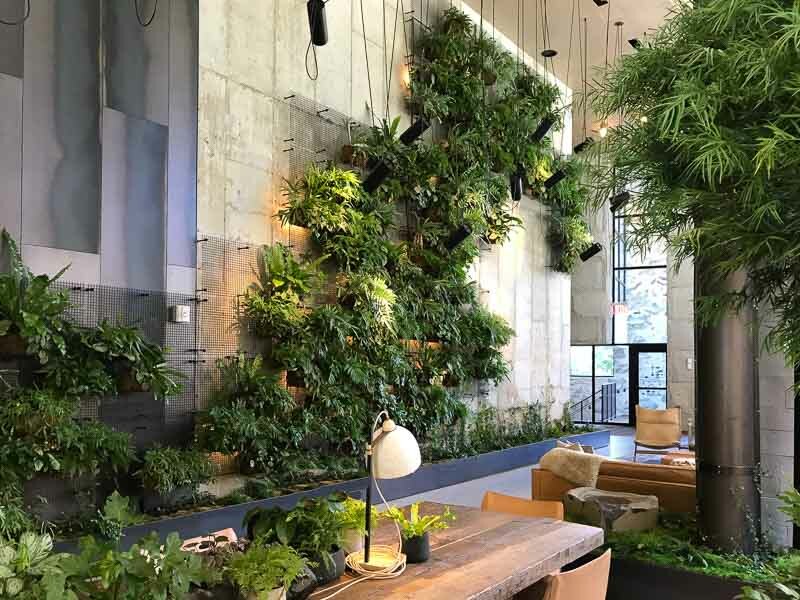 The term green wall and living wall are used interchangeably. 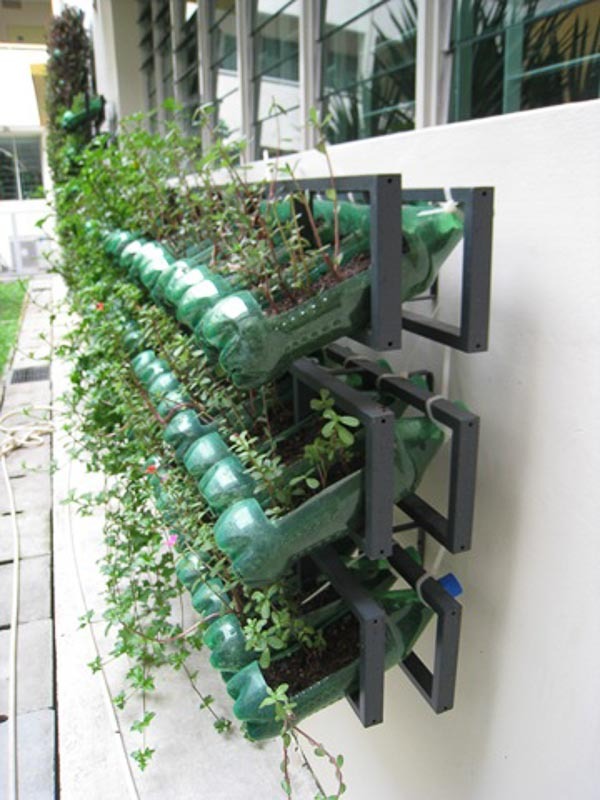 The terms refer to a self-contained type of vertical garden consisting of plants, flowers, etc. installed on a vertical surface. 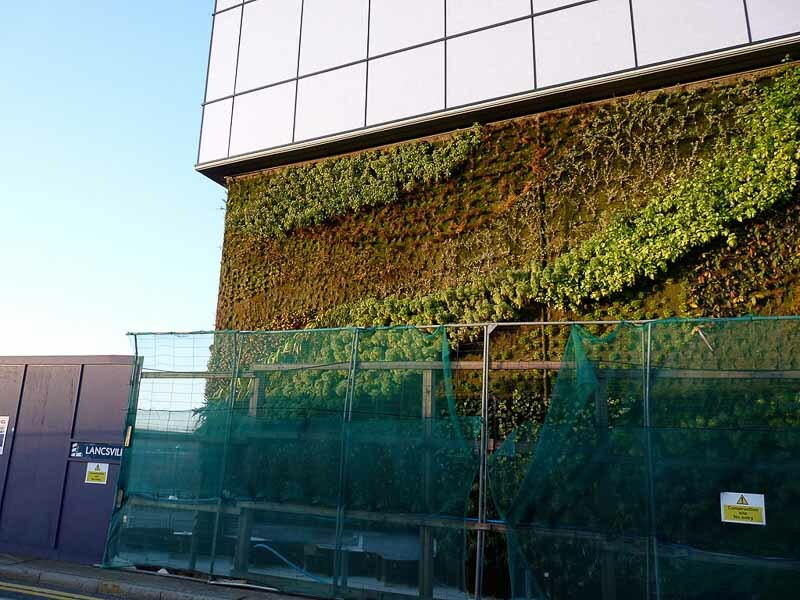 Living walls or green walls often seen in commercial spaces have their own internal irrigation systems, making them low maintenance to maintenance-free. They are also usually “hydroponic” meaning, no soil. Being hydroponic makes these systems much cleaner to operate…no dirt falling off the wall onto the floor. 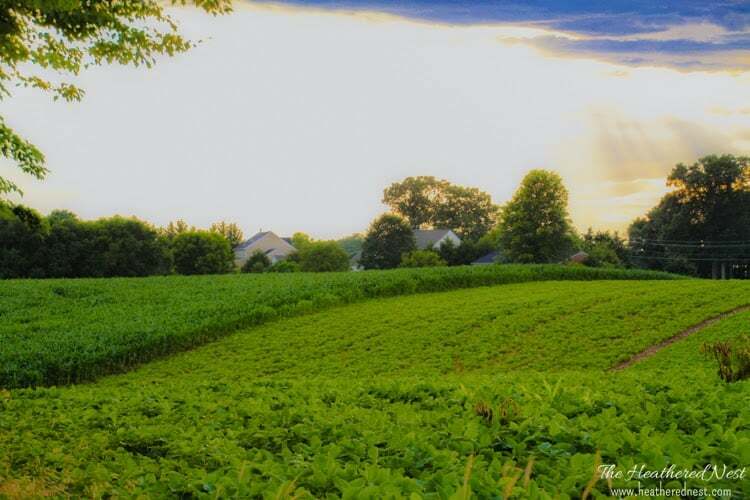 Hydroponic systems with irrigation systems are commonly used for interior spaces. 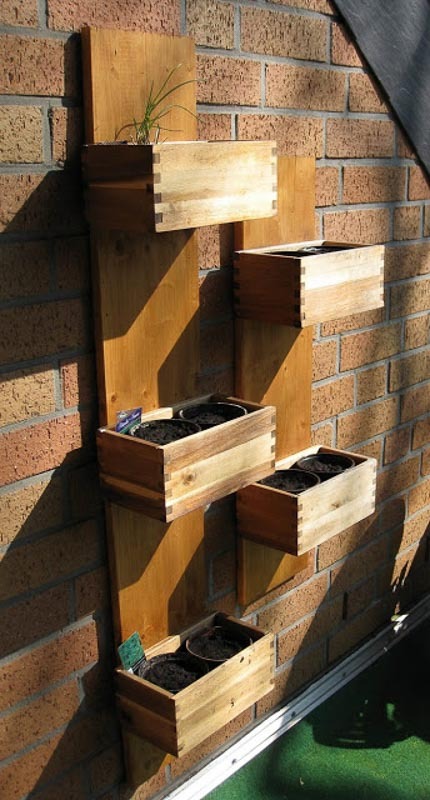 The typical homeowner interested in this unique type of gardening is looking to DIY a vertical garden, which usually does require soil, as well as watering. 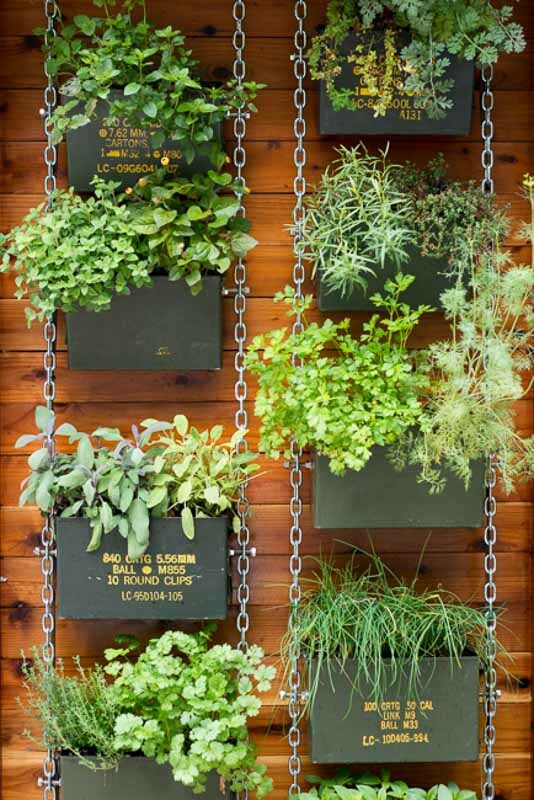 What’s so great about vertical gardening? 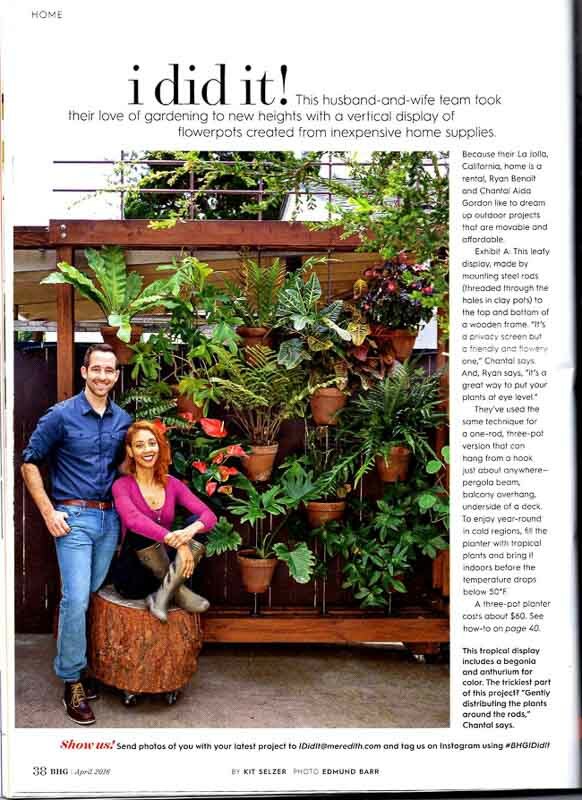 The vertical garden movement has picked up steam very quickly within the past several years, and with good reason! Many people are apartment and condo dwellers who have very little to no outdoor space. 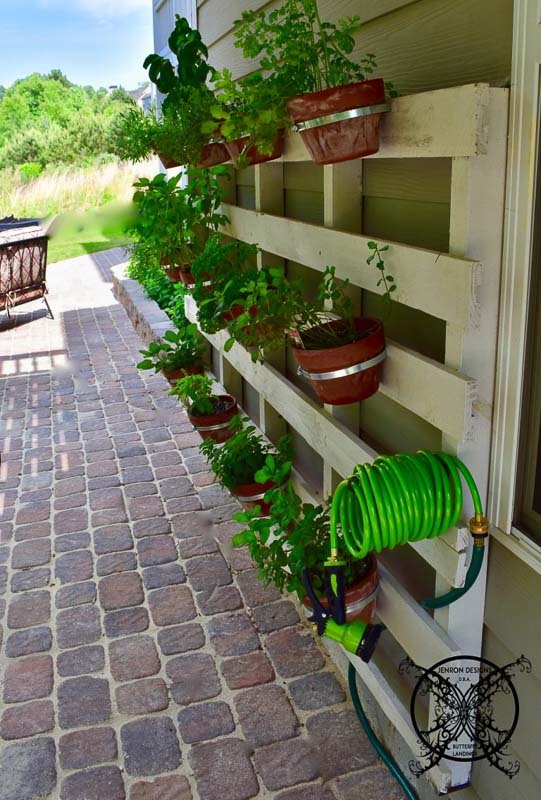 Vertical gardening allows people living in tight quarters to enjoy gardens in and outside of their homes. 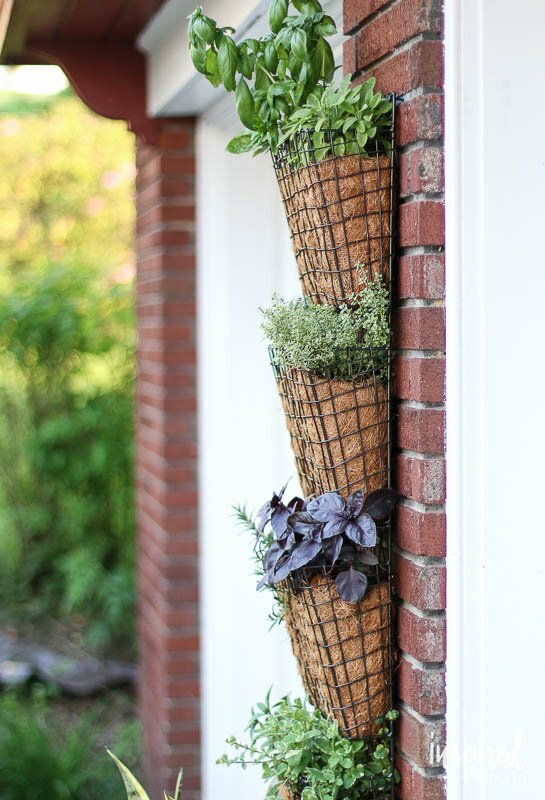 Vertical planters take up significantly less space than traditional gardens and don’t require a parcel of land. People vertical garden on balconies, along fences, interior walls and more. 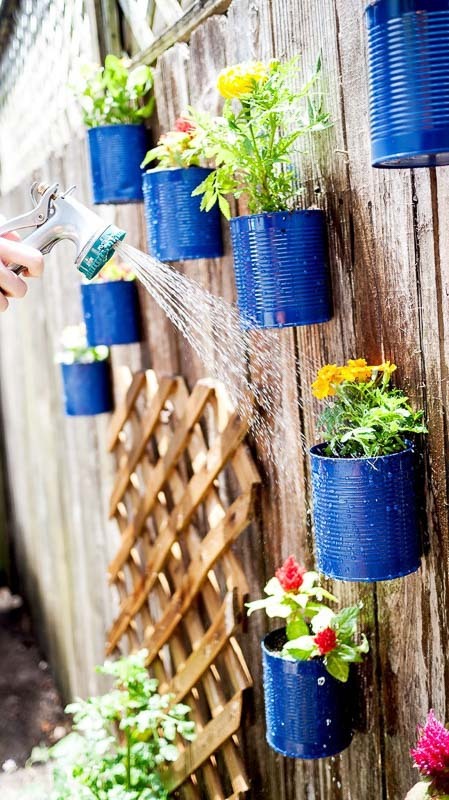 If you have a vertical surface of any kind, there’s likely a way to create a garden for it. 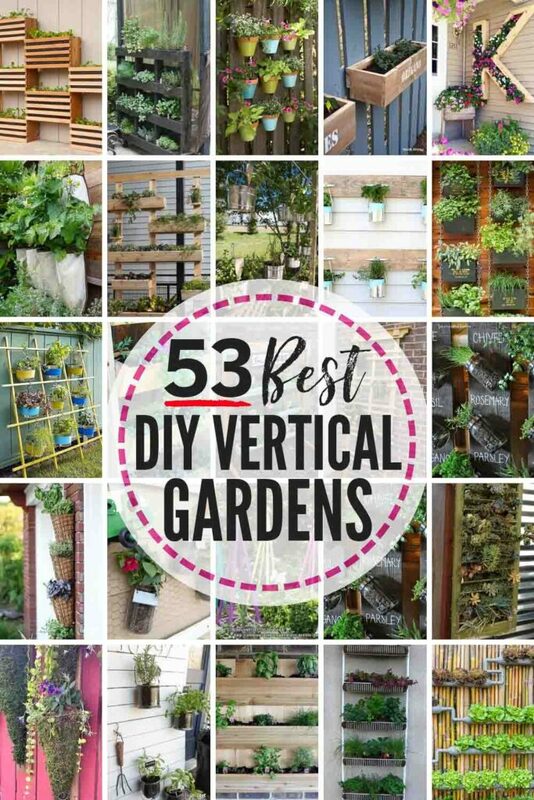 So now that you’re as jazzed about buying or building your own vertical garden at home, let’s give you lots of ideas for different options for your new “grown-up” garden! These are all DIY options. If you’d rather buy than DIY, no worries! Skip to the bottom for great sources where you can find pre-built/pre-made vertical planters available for purchase! 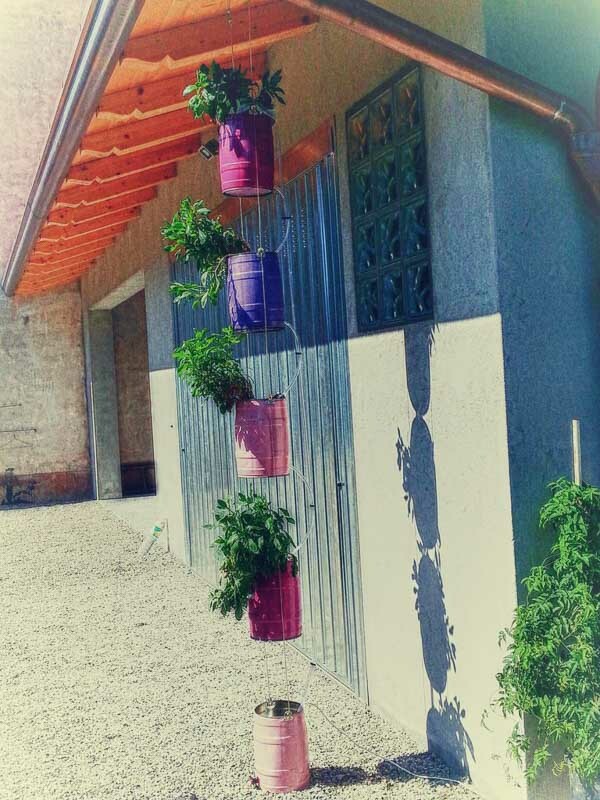 We built this relatively easy vertical garden with airplane wire and hanging pots as a way to create a kitchen garden, and also provide a bit of a privacy screen to help hide our AC units (which are now further covered thanks to this easy lattice AC screening project). 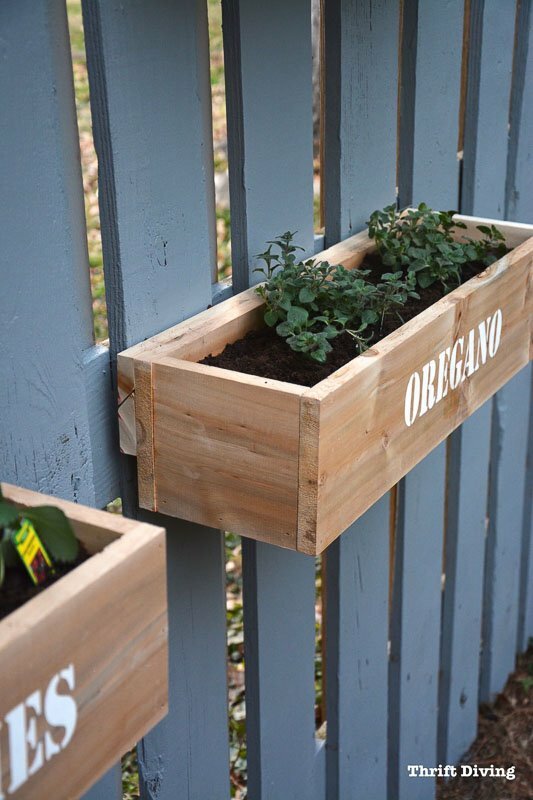 While you’re at the DIY gardening projects, try these easy garden markers, too! 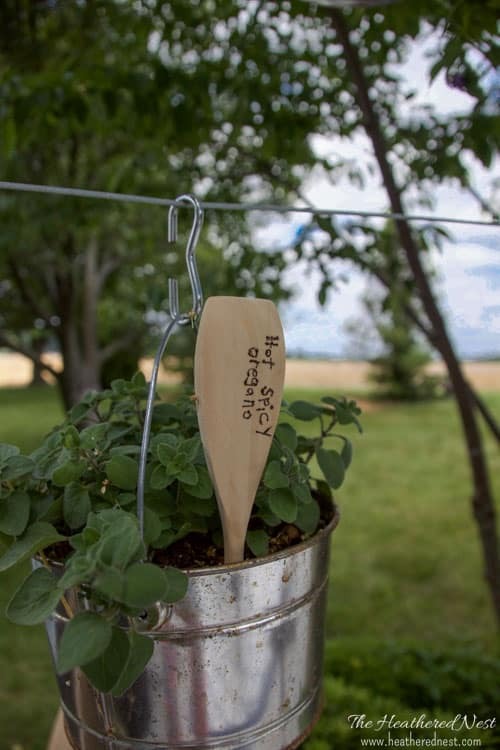 Have your kiddos write the names of the plants onto some inexpensive wooden spoons, and the rest of the how-to is in this DIY plant labels post. 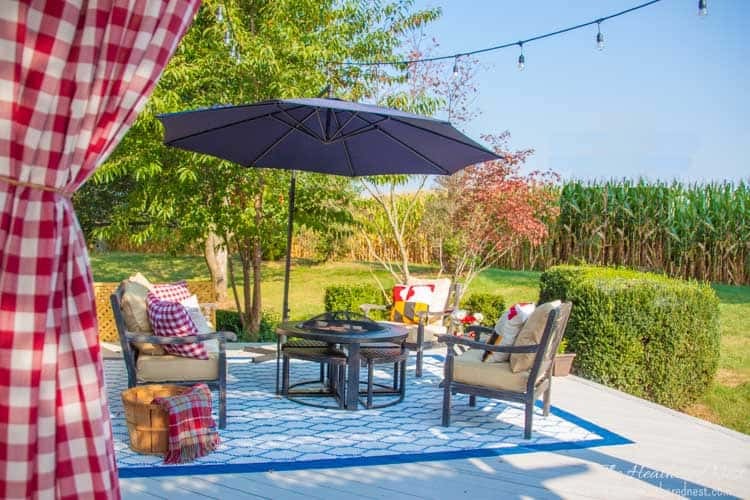 Talk about a gorgeous outdoor statement piece! 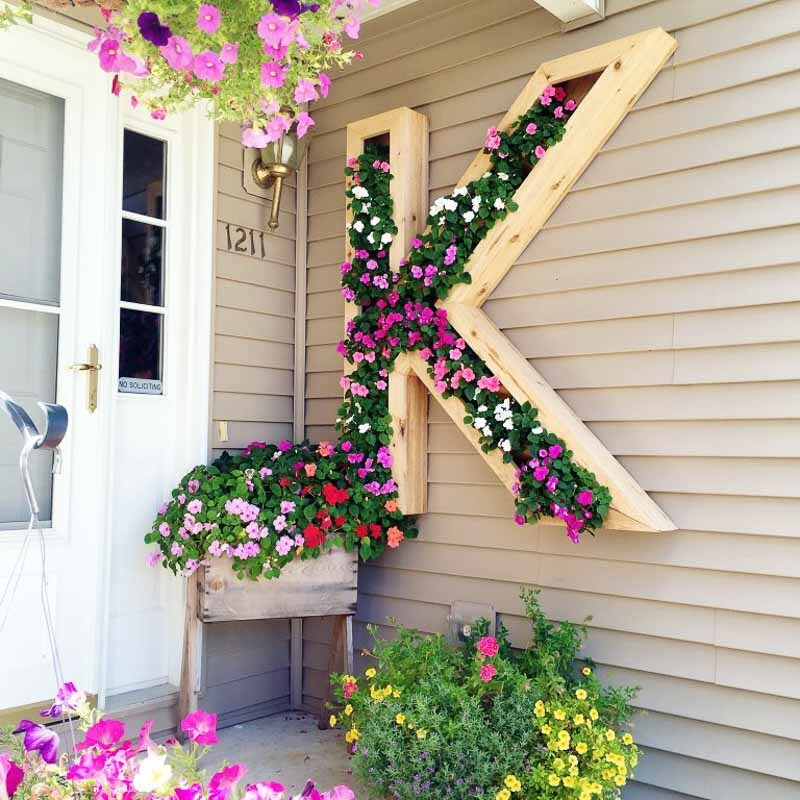 Make a monogram vertical planter for your entrance way, or outdoor living area with this tutorial by Ellery Designs at Remodelaholic. 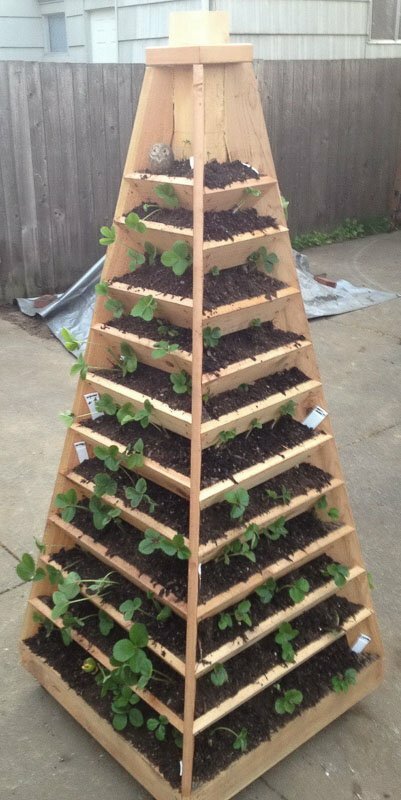 Inexpensive vertical gardening at its finest! 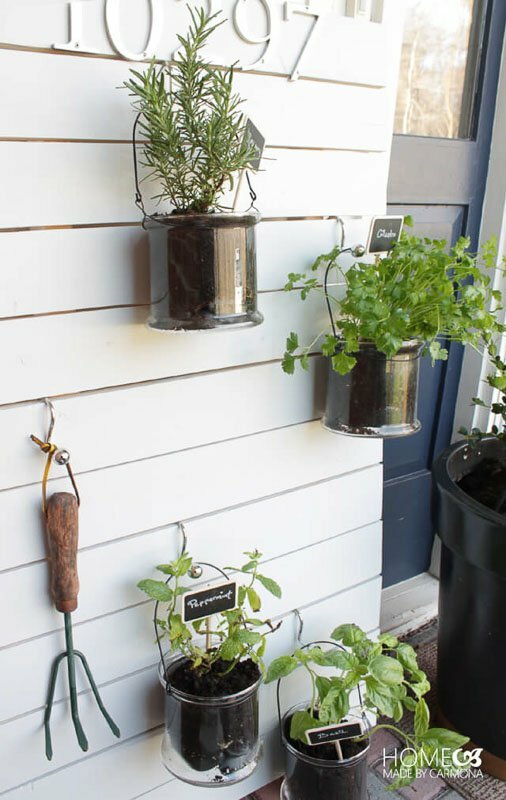 Grab some old tin cans and check out Ciera Design’s tutorial for how to make a vertical garden attached to your fencepost. Conduit piping…who would have thunk it? 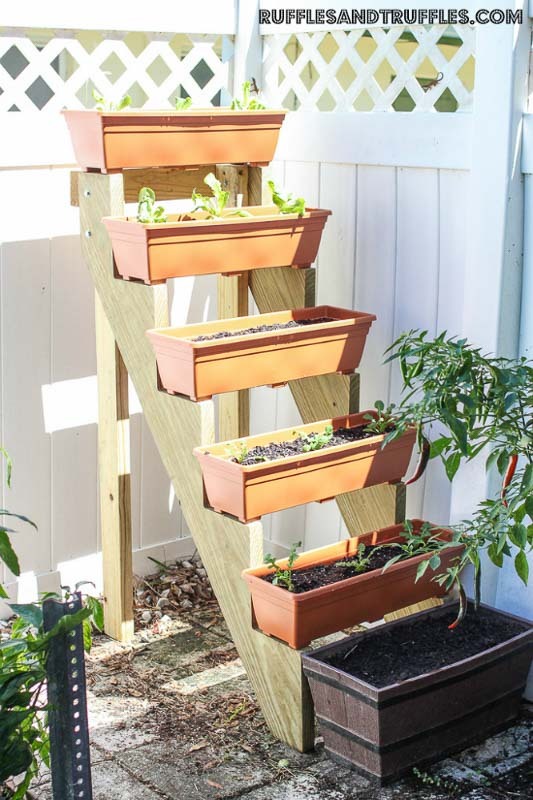 Cool vertical planter design and tutorial over at homestead.com. A cool, linear modern vibe happening here with this vertical garden design by Man Made DIY. 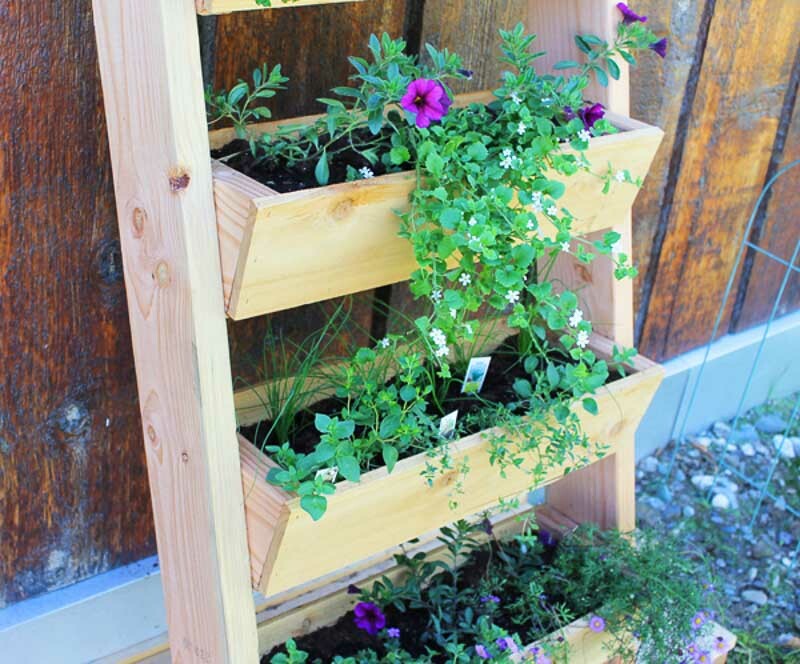 Ana White shows you how to build this ladder-style vertical garden. The post also included free building plans. 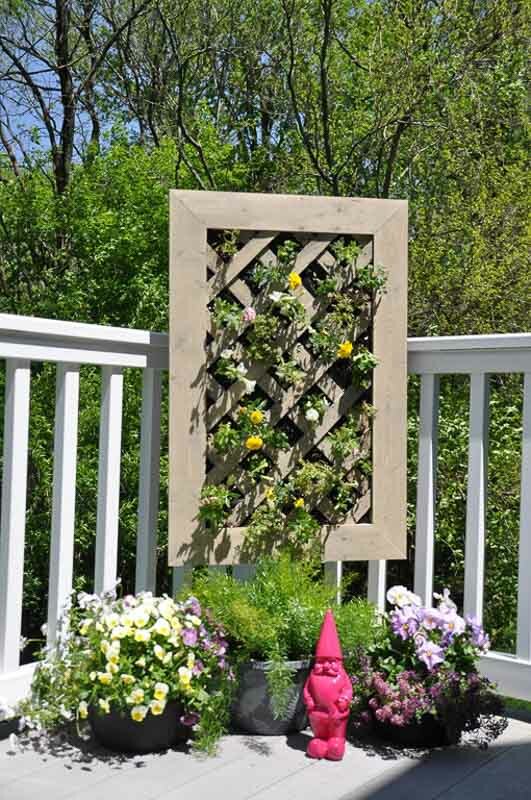 Here’s another great Ana White idea, this one made to attach to a pre-existing vertical surface like a fence. 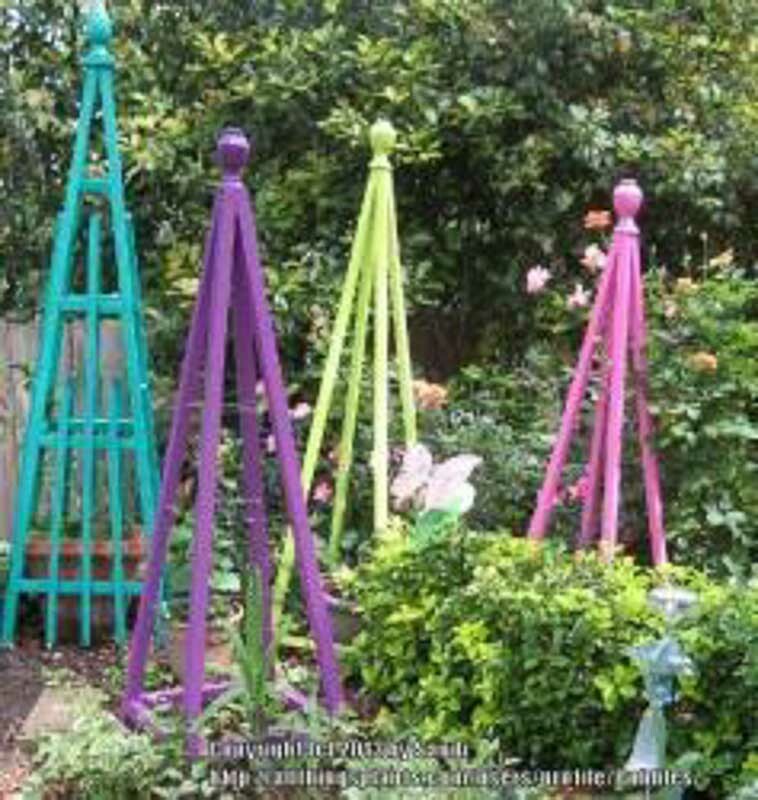 You could create this as a free-standing element, or add it to an existing gazebo or porch. Great idea for a small space. This concept could be modified for a larger or smaller area, as well. 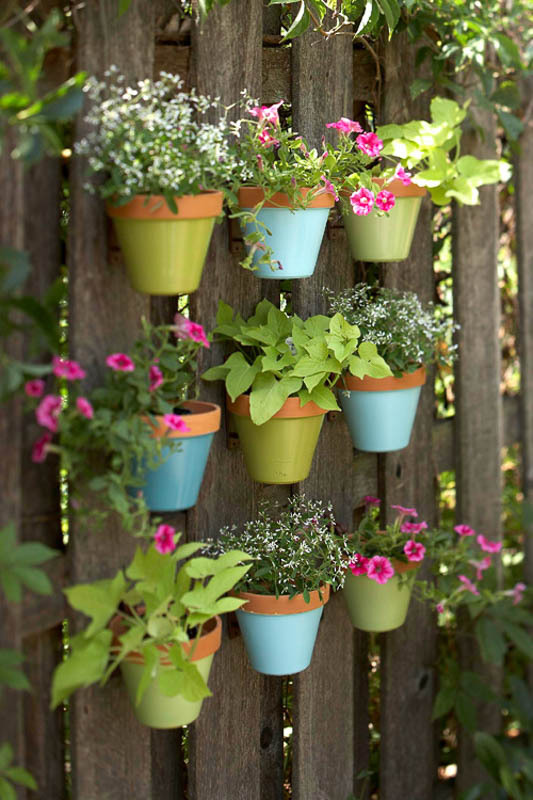 A really easy, inexpensive and colorful approach to a vertical garden. This is one of the more complicated builds on this list. It’s a space saver, though, and another great feature is that it rolls. 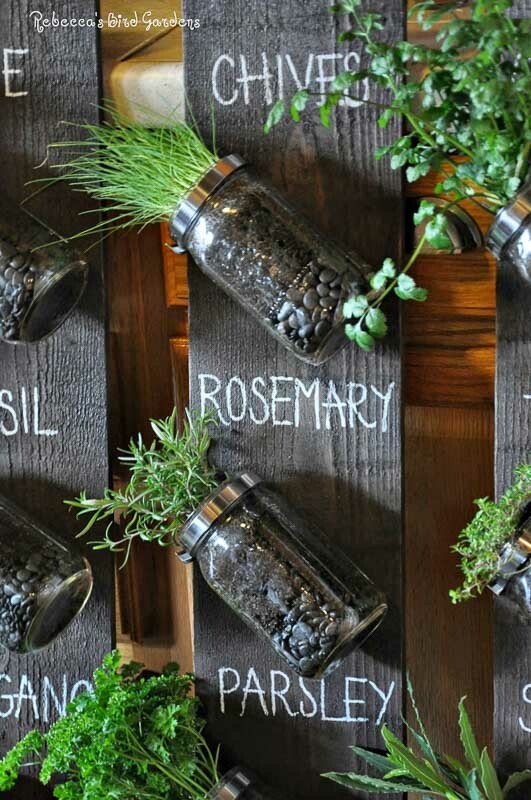 Love this really attractive concept using old, reclaimed wood posts, and chalk-written plant labels. I love repurposed old shutters (have you seen the one we use for displaying our Christmas cards?). And this concept is not only genius but so pretty as well! 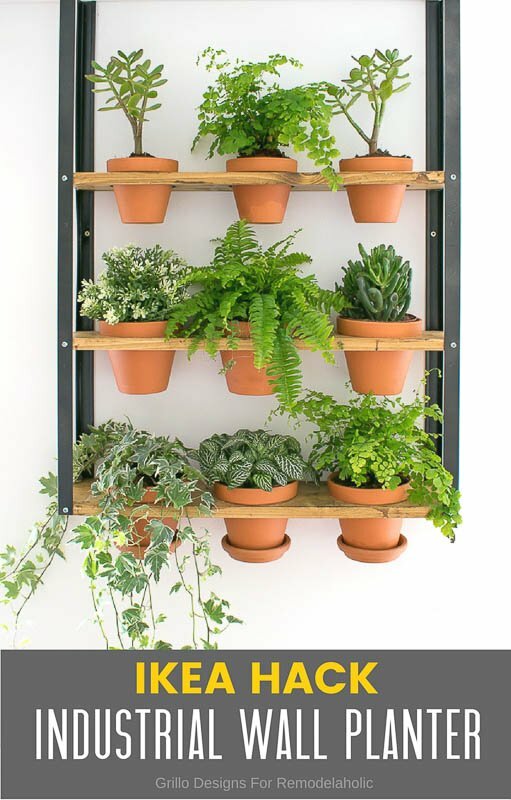 John provides a great tutorial to watch on creating a DIY vertical garden and shares some wonderful reasons at the very beginning to consider trying your hand at vertical gardening. Several styles of vertical gardens are discussed. 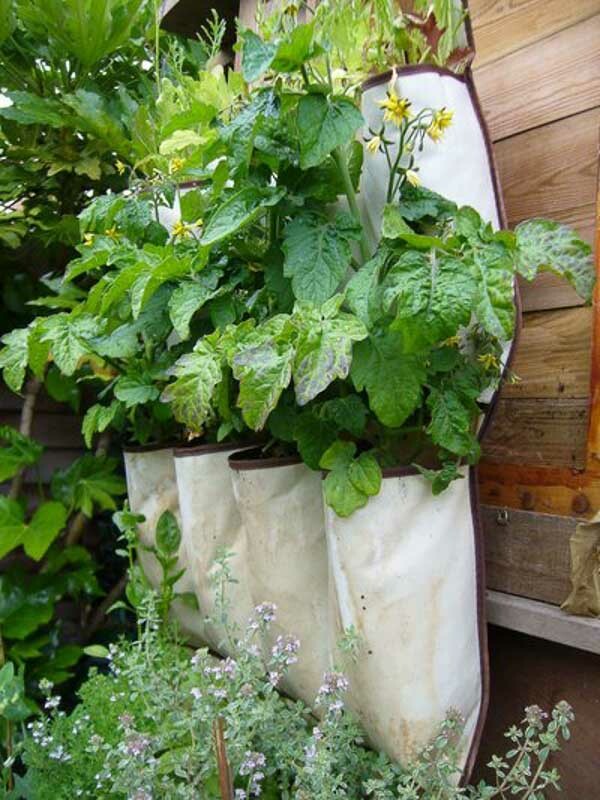 Some of which attach directly to a vertical surface, and others that don’t need direct attachment, but rather hang so as not to harm the vertical surface in any way (great for renters). 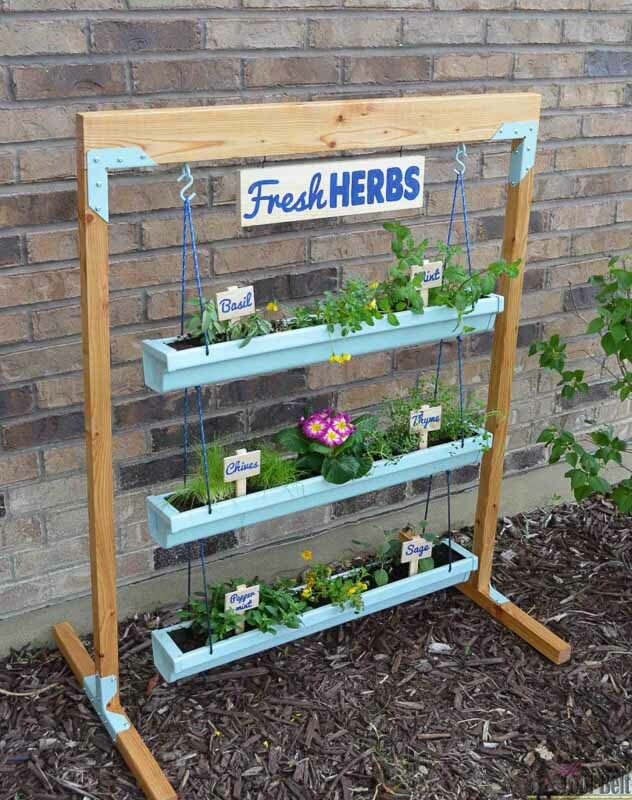 The small business discussed in this video manufactures vertical gardening kits for purchase, but you could construct something similar completely DIY. 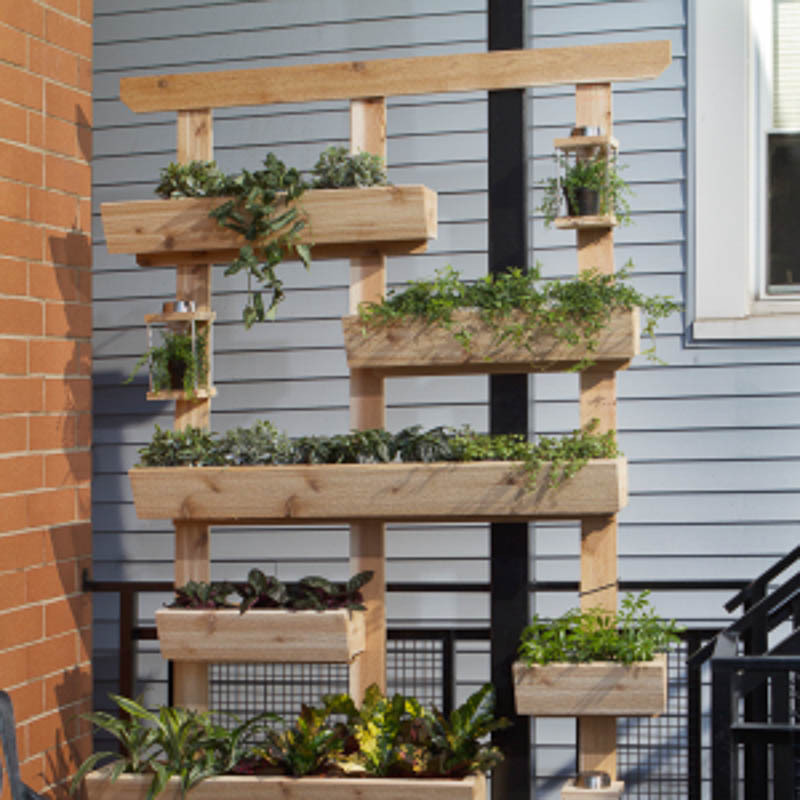 The owner originally created these vertical planters as a way to help his aging parent continue to garden without having to crouch down to ground level to do so. It’s a long video, but has a lot of helpful information for you! 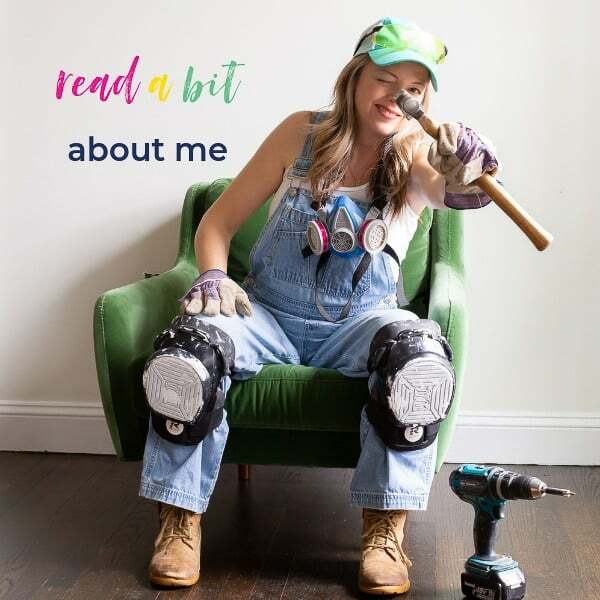 There isn’t a tutorial for this project, but I loved the design so much I wanted to include it for you especially handy DIY’ers who could probably figure out a building plan based on the pics in her post, so head there to see more. Pssst…remember! Don’t leave here empty handed! 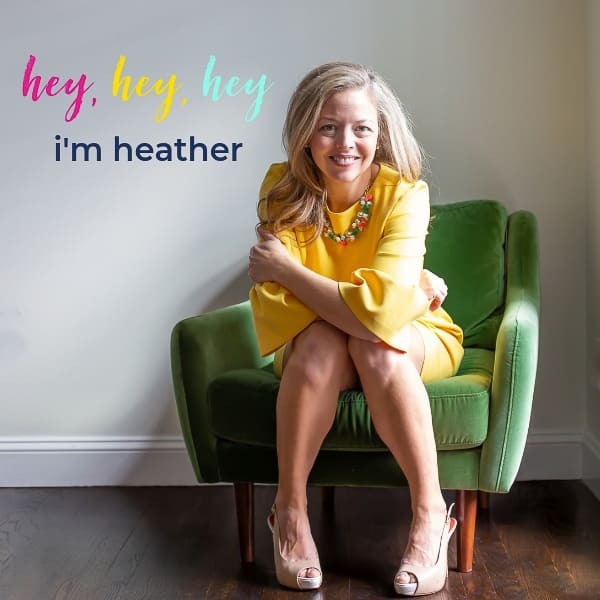 Sign up as a VIP now, and we’ll send you instant access to our free timesavers guide which contains 15 timesaving products, services, and ideas that I use myself and love. Click below and your guide will be sent to your inbox immediately! Many people won’t even remember what a CD rack is at this point, but if you happen to have any stashed anywhere, or see some at the thrift store, here’s a great upcycle project to try. Ikea lovers take note! 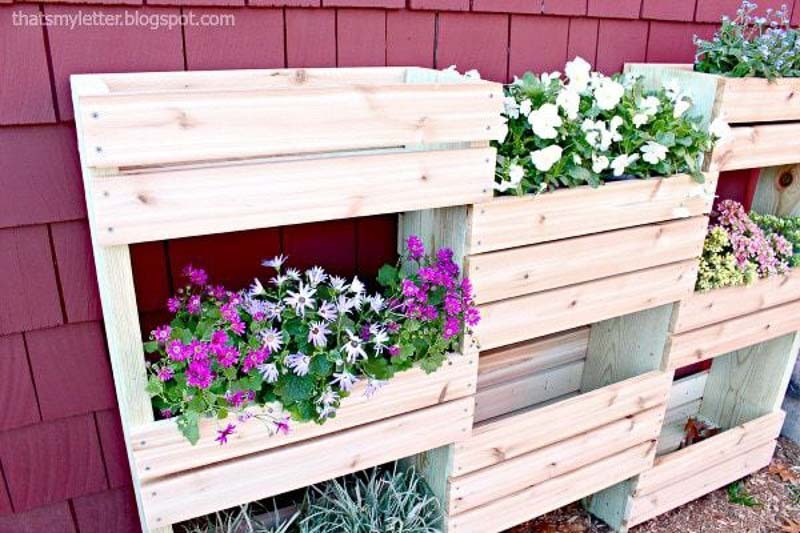 Take these Ikea planters and stack them to DIY a vertical planter. These particular planters are no longer sold at Ikea (though you can still find them online elsewhere). 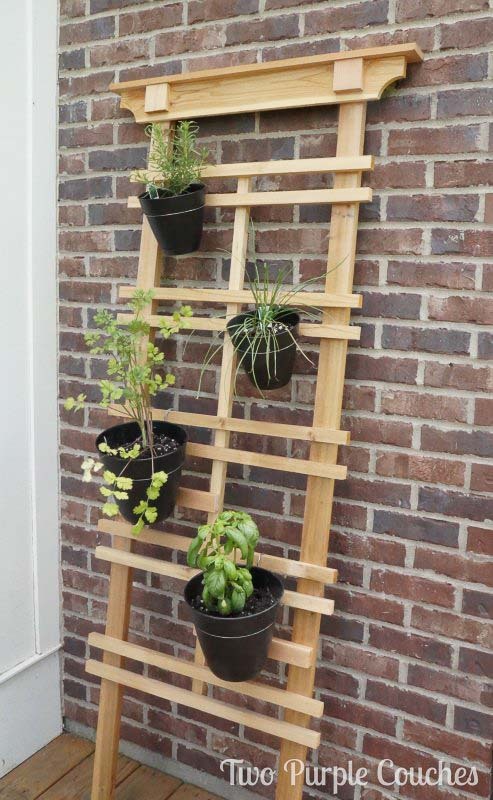 But nowadays, if you don’t care to DIY, Ikea does sell a ladder based pre-made vertical garden called the Satsuma that you can check out, as well. Another ladder-type variety that leans. 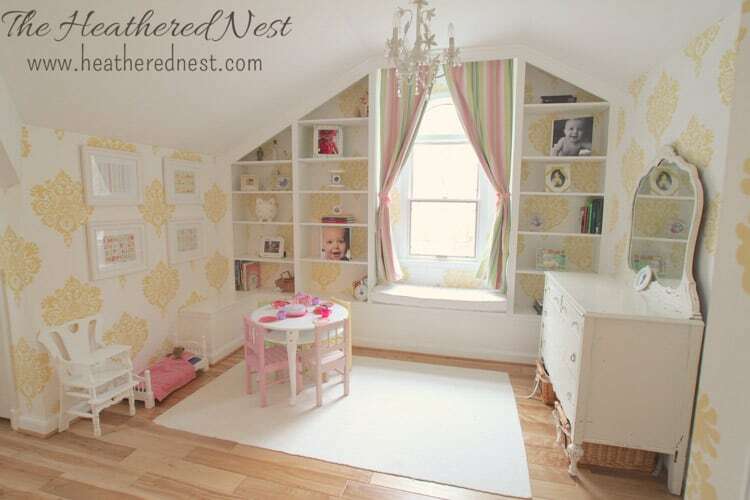 Build as narrow or wide as you like based on available space. We’ve written a whole post on Ikea Ordning hacks, and this another one to add to the list. Because of the holes in this container on the sides, you’d have to keep the plant inside another pot, and add drainage at the bottom. Guys, this video is GREAT. Jess from Roots and Refuge Farm walks you through her enormous garden and will tell you all about the ins and outs of vertical gardening. 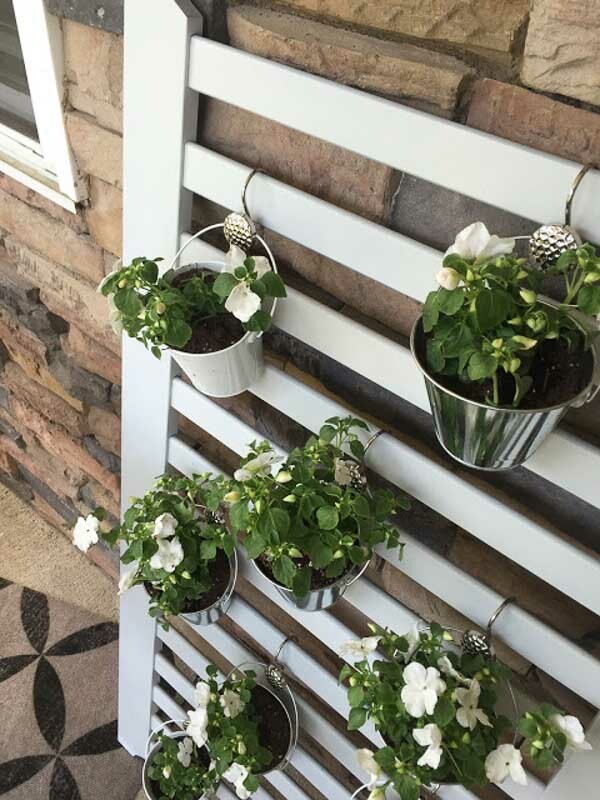 A very popular way to create a vertical garden is using over the door shoe organizers like shown in this Instructables tutorial. 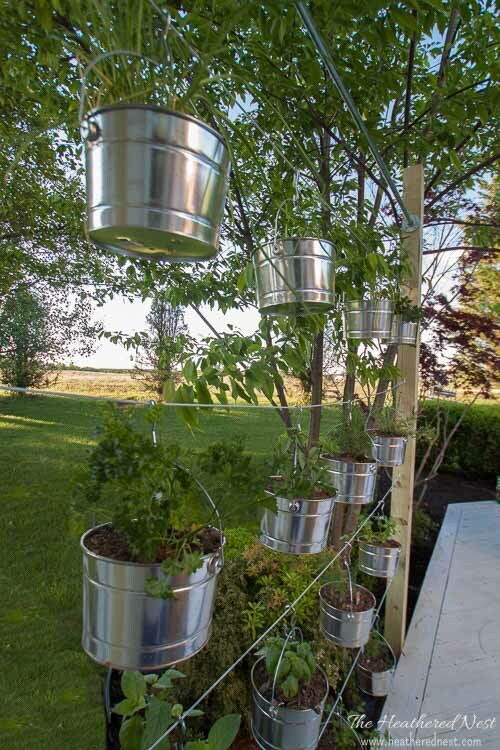 Vertical garden planters made from old kegs! What’s not to love? This tutorial will show you how to transform traditional gutters into vertical gardening systems. 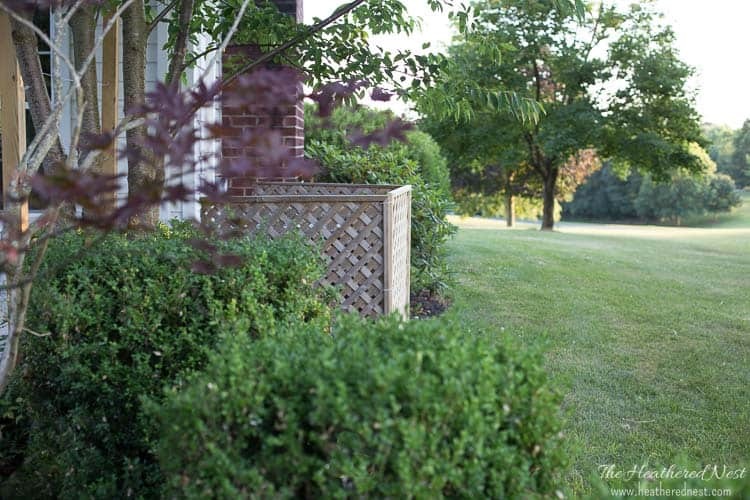 Jamison shares the building plans for this trough style wall planter made from cedar. A cool looking cornucopia-esque planter attached to a fence. Such a smart use of a pre-cut stair stringer! Another build using gutter, but this time hung horizontally and stacked instead of vertically as previously shown. 28. 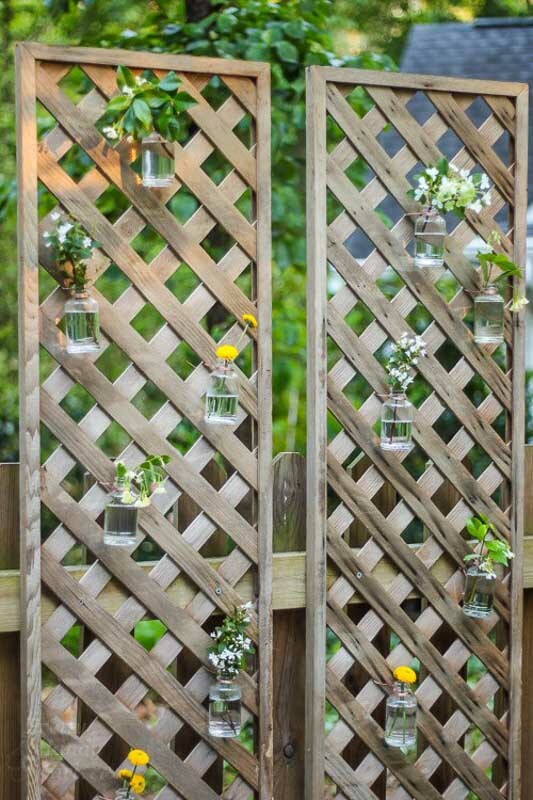 Framed Chicken Wire Mason Jar Garden | Kleinworth & Co.
A simple and decorative planting option made with chicken wire and mason jars. Try building this popular type of structure for creeping-type plants like cucumbers and tomatoes. 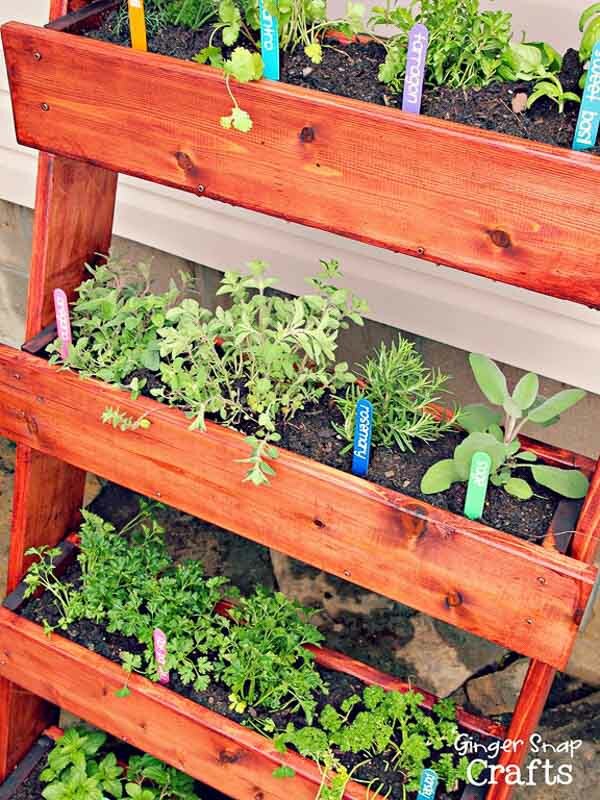 A simple DIY trellis coupled with colorful hanging pots makes for a great kitchen garden. 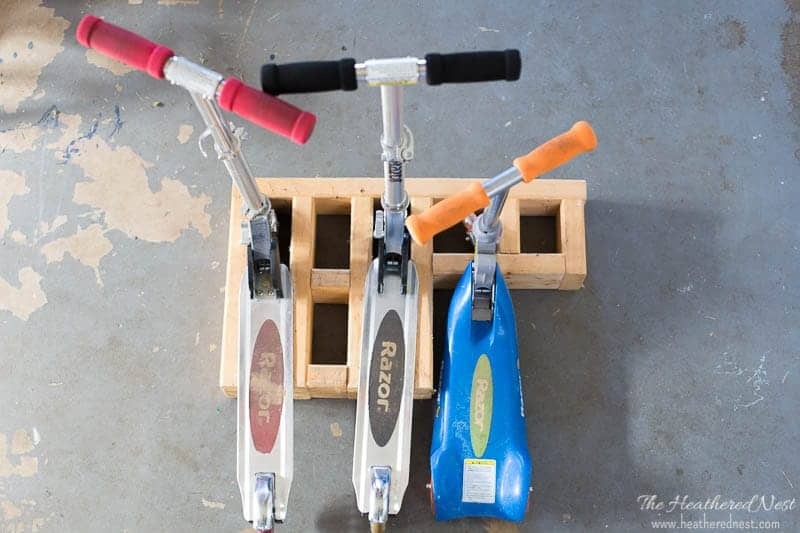 Here’s a brilliant upcycle for something that starts out as a not super duper fun item. I like Michael’s use much better than the original purpose, don’t you? 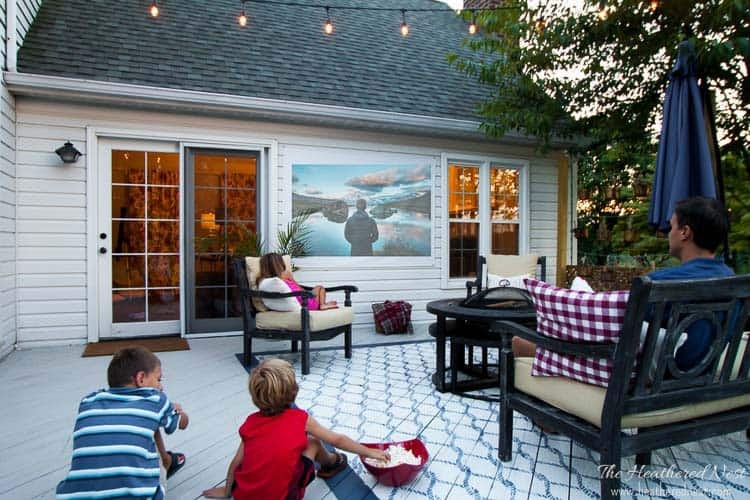 And what a great way to spruce up those typically blank walls around the garage! 32. Upcycled Wire Spice Rack | Laughing Crow & Co.
Sure, they call it a spice rack, but Laughing Crow & Co. have a better idea! 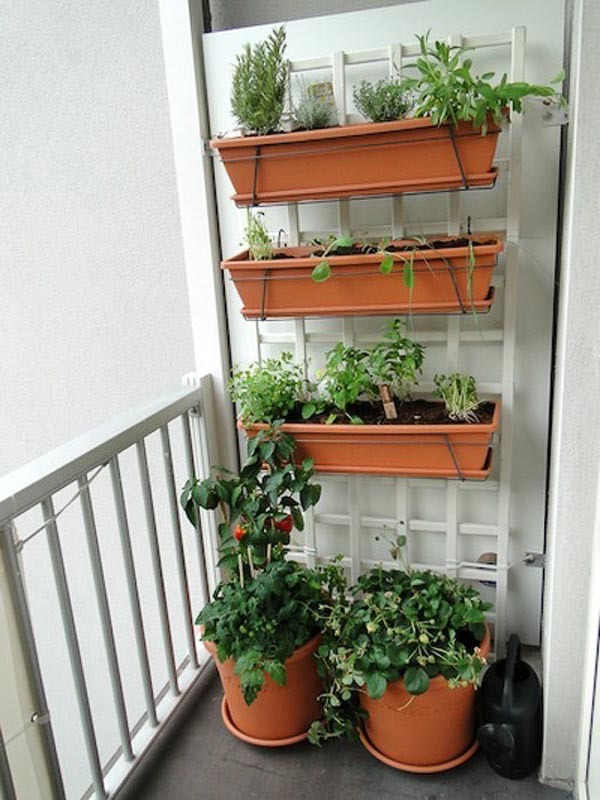 Isn’t it impressive how many plants were fit into this small balcony area thanks to this smart vertical garden project? 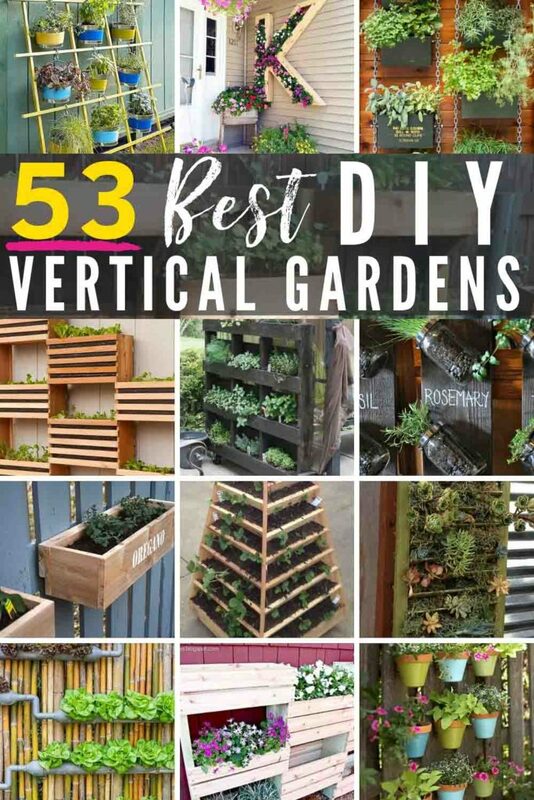 Quite possibly some of the best looking DIY vertical gardens on this list are the ones below from Ryan at The Horticult. 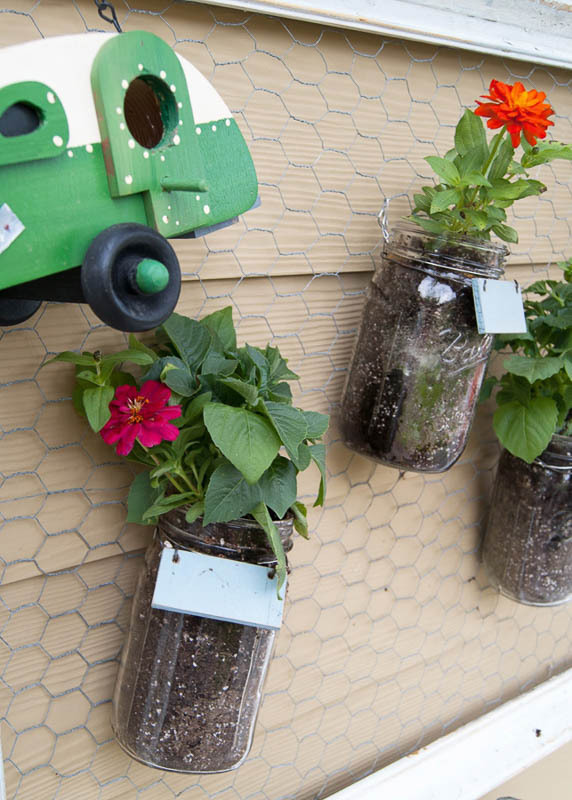 He shows you how to create planters from old ammo containers. So good. And here is another one of Ryan’s brainy vertical builds, this time with terra cotta pots. Check out the tutorial for this lovely green wall system on The Horticult blog. 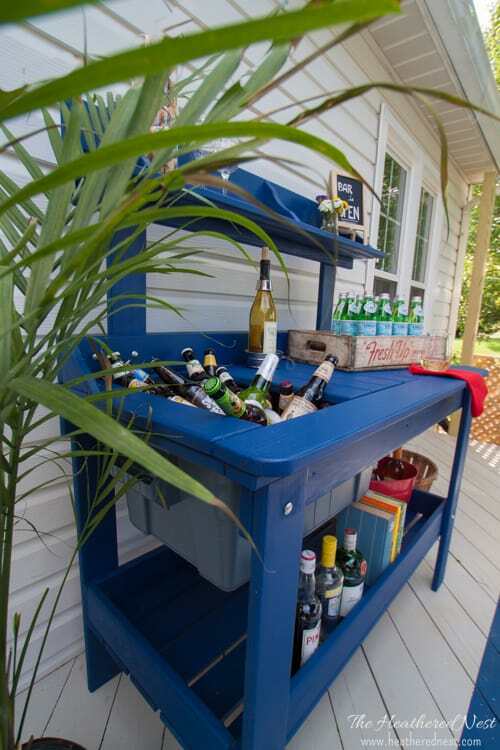 Isn’t this coastal style paint can upcycle concept adorable? 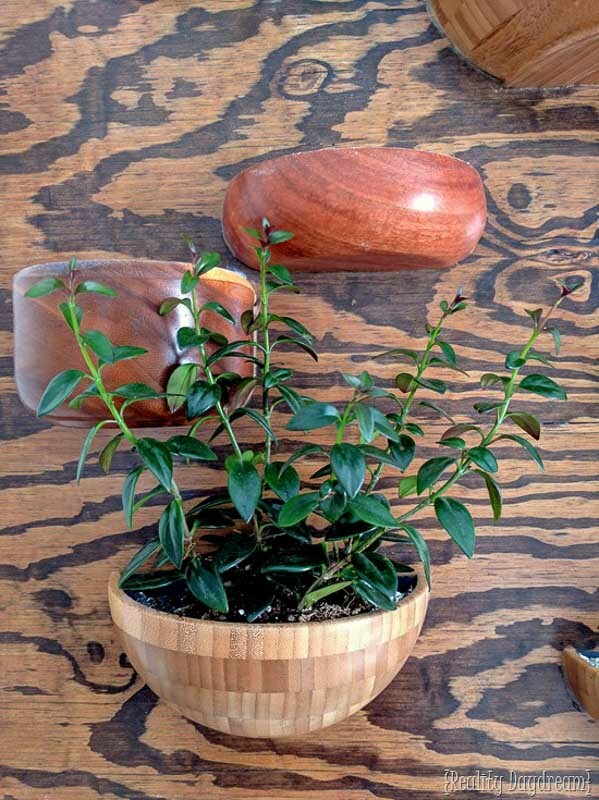 She uses hers for herbs, but you could plant flowers or other plants in lieu of herbs. Medina makes a lovely, industrial chic from Ikea goods for Remodelaholic. Brittany uses this DIY primarily for privacy screening and opts for cut flowers on hers, but real plants could easily be swapped in. 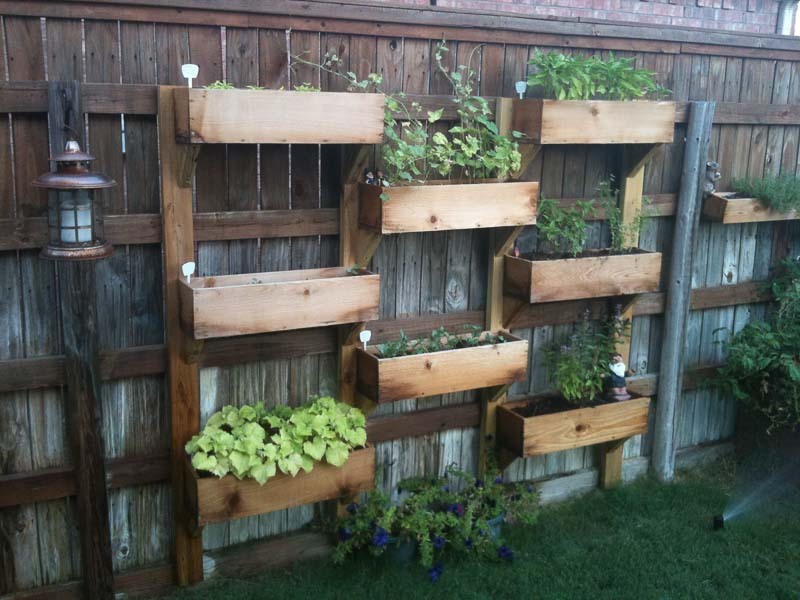 This post from Michelle is part of a multi-post series that covers how to build and plant a vertical garden frame like this one. Do you have an old or unused shower caddy? 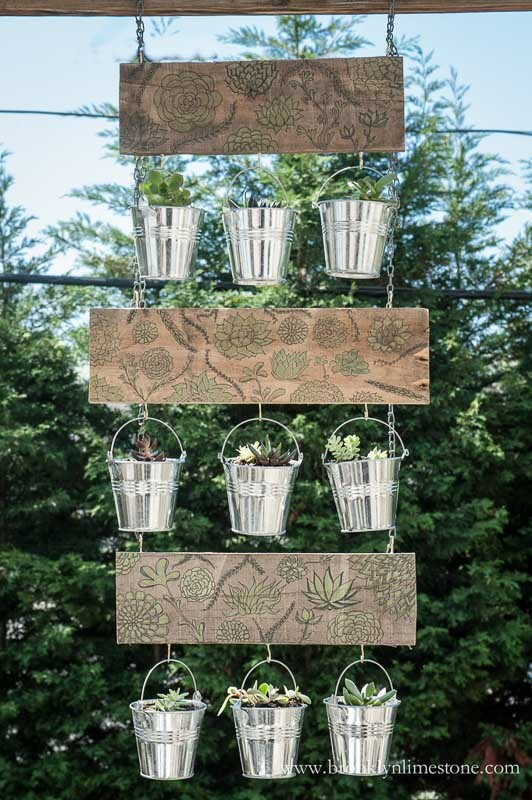 See how Victoria used one to create a vertical succulent garden. 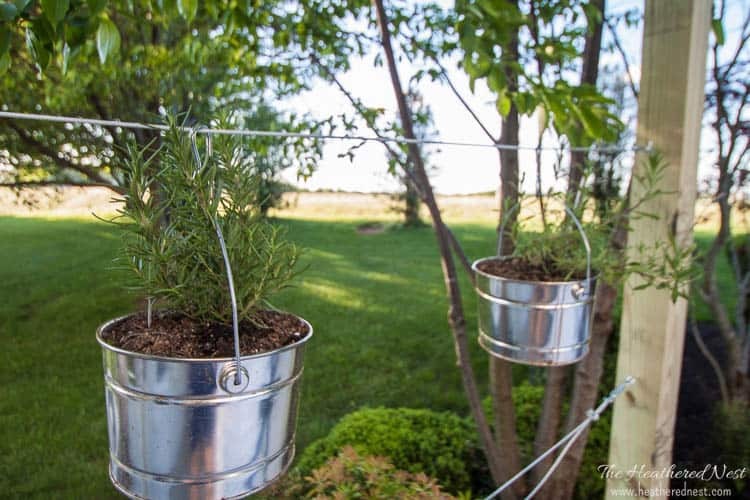 Another easy option for hanging various potted plants, veggies, and flowers. A great option for a narrow space. And the colorful pots make this pretty to look at, too! 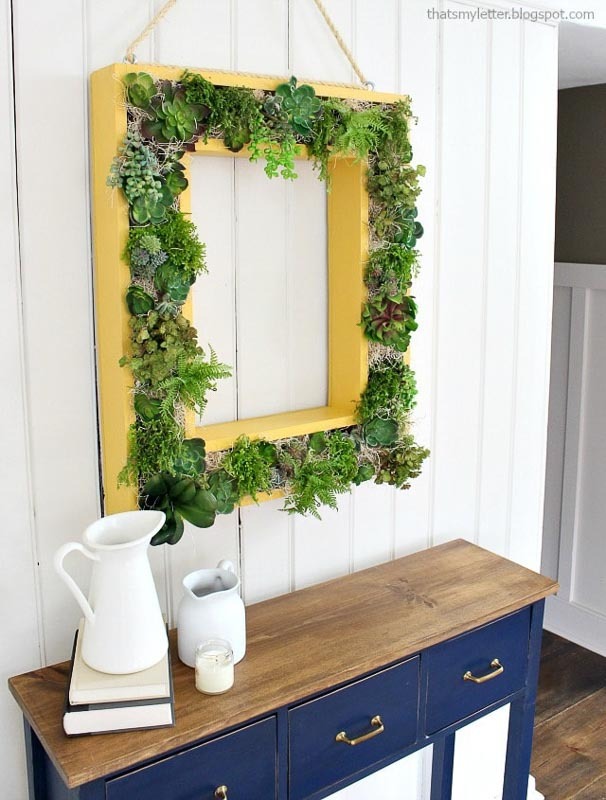 Jaime created a beautifully framed planting wreath to create an indoor vertical garden with succulents, but this could also be a planter for flowers or veggies that could be mounted outside. Jaime shares the build plans for this option, and it can be altered to be larger or smaller. Check out Alaya’s DIY at her crib. Made with…a crib! 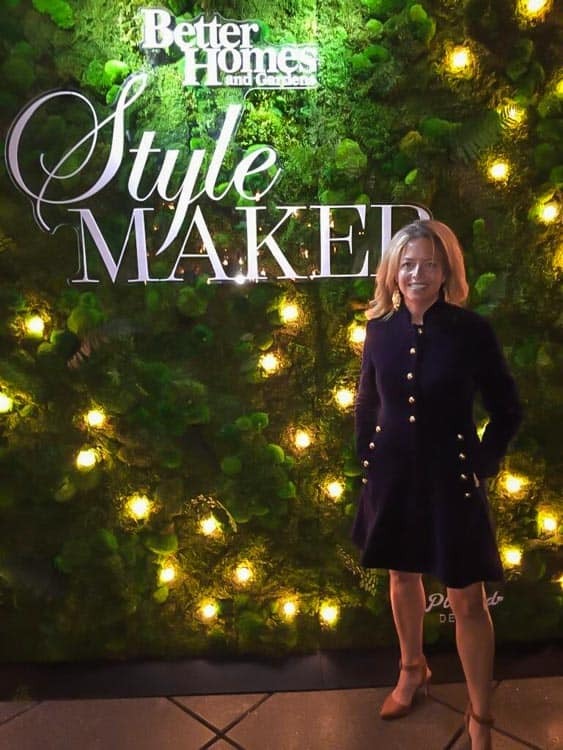 Ursula creates a vertical garden right outside her front door that’s not only functional but welcoming too! 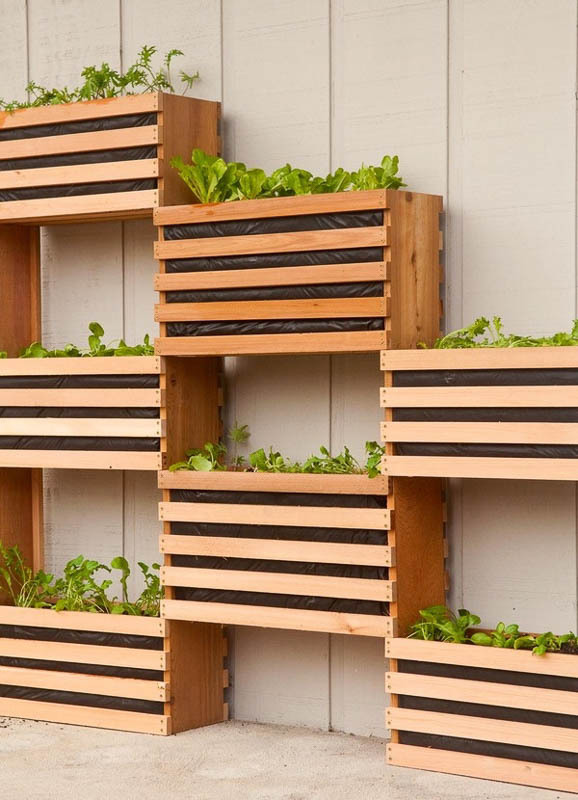 Like the idea of reusing a pallet, but don’t want to necessarily plant your veggies, etc inside the actual pallet wood? Give this option from Jenron Designs a look! 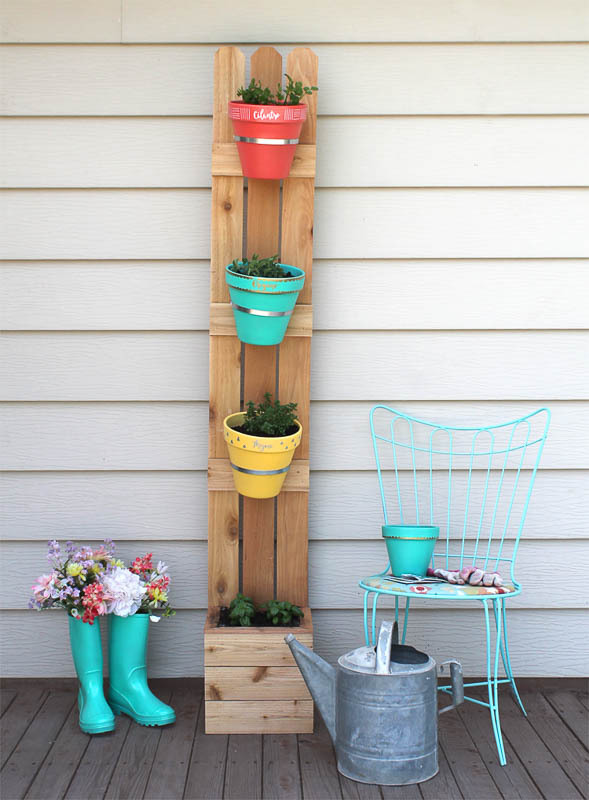 Another lovely fence post version of DIY vertical planters, this one created by Serena. Her attachment method is a great one which makes the boxes easy to remove and replant whenever desired. Leave it to Bethany to come up with a completely novel and gorgeous approach to a DIY project. 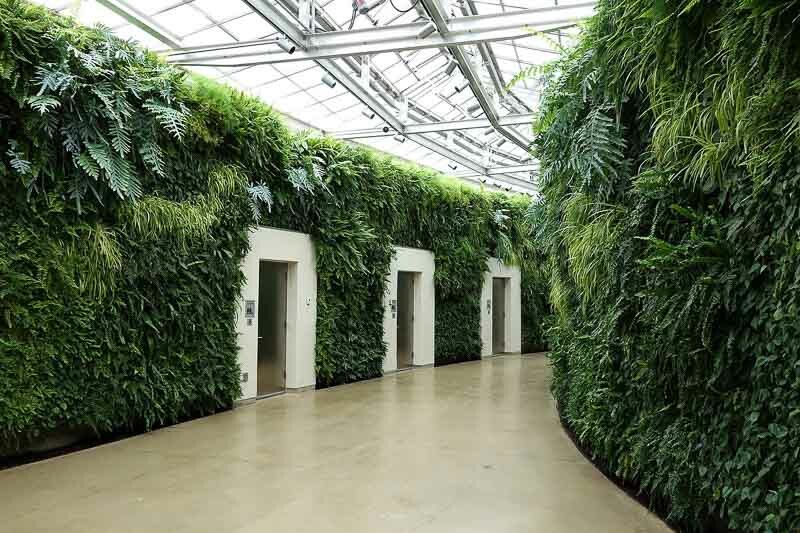 This green wall is unlike any other on this list. And the final project is not only functional but very attractive and super unique. 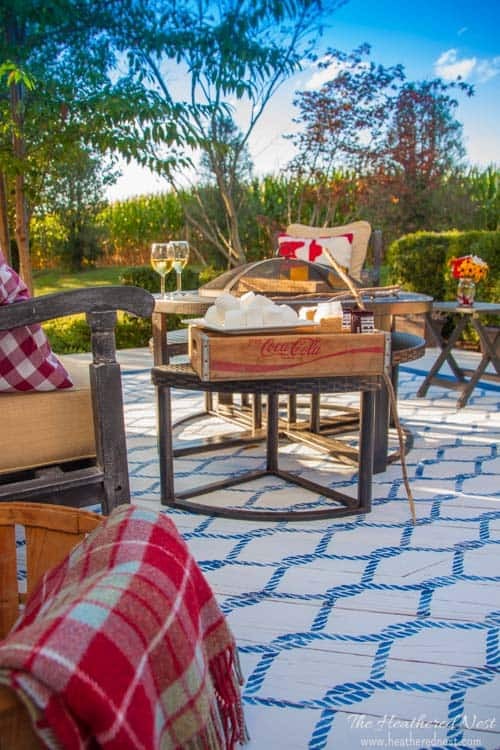 Are you a fan of pallet projects? 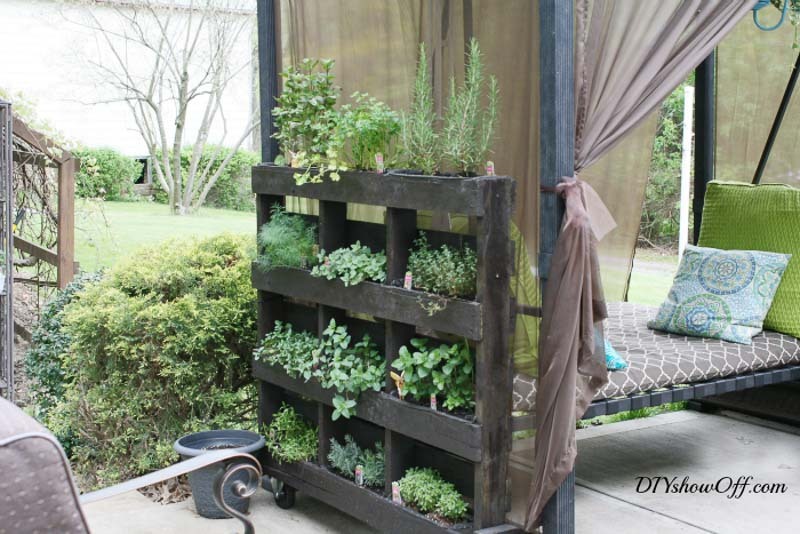 Then you’ll want to see how Roeshel creates a gorgeous rolling garden from a pallet. No wall to lean a planter on? No problem. 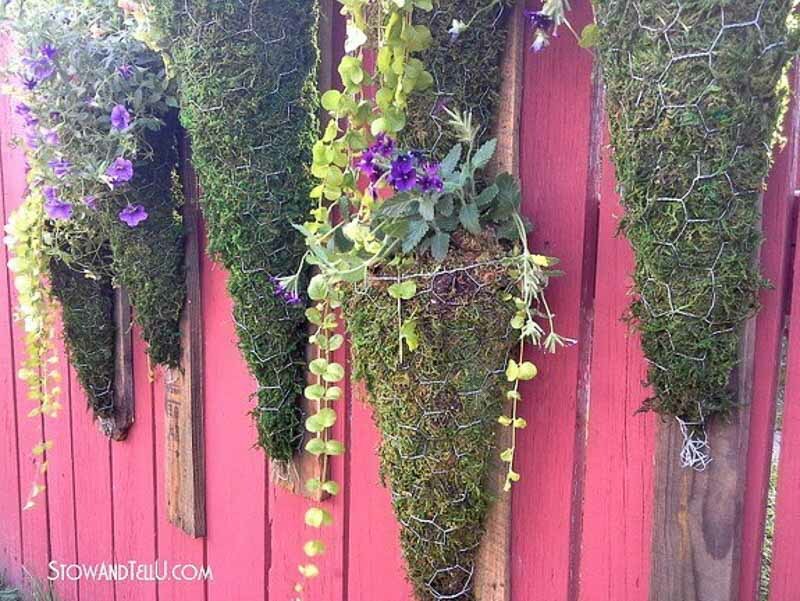 Stefanie will show you how to build a vertical garden that hangs, and makes it beautiful to look at, too! Do you have an old staircase you’re dying to renovate? 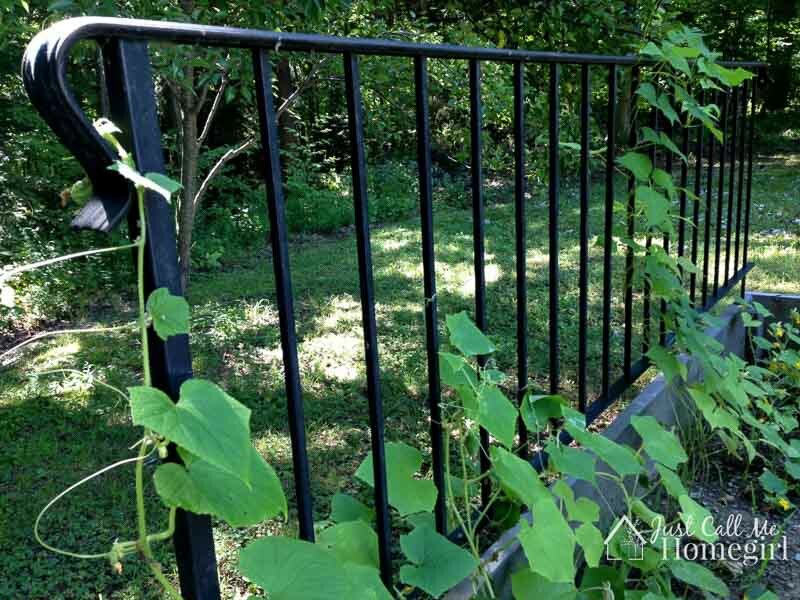 Check out how Tara makes use of her old railing to create a great place to plant creeping veggies like cucumbers, tomatoes and more. Last but not least, isn’t this a brilliant upcycle? 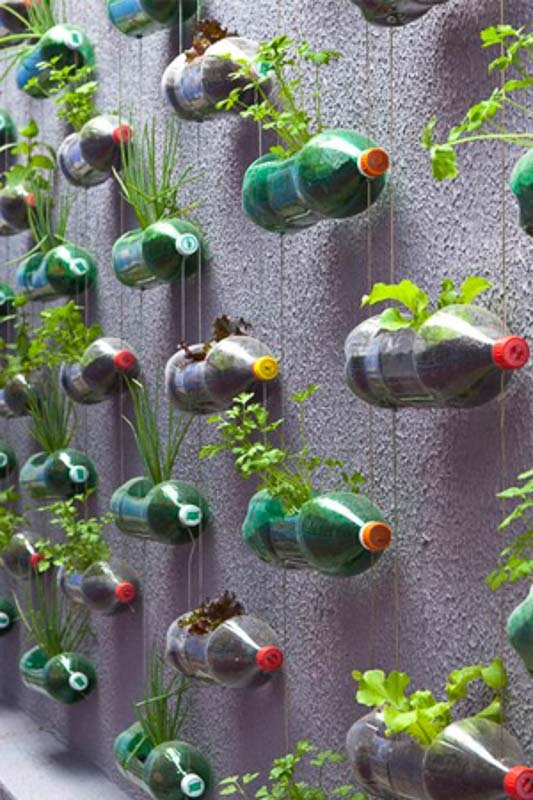 Repurpose, recycle and reuse soda bottles to create a gorgeous and green vertical wall garden. Inexpensive and great for the environment. Win-win. 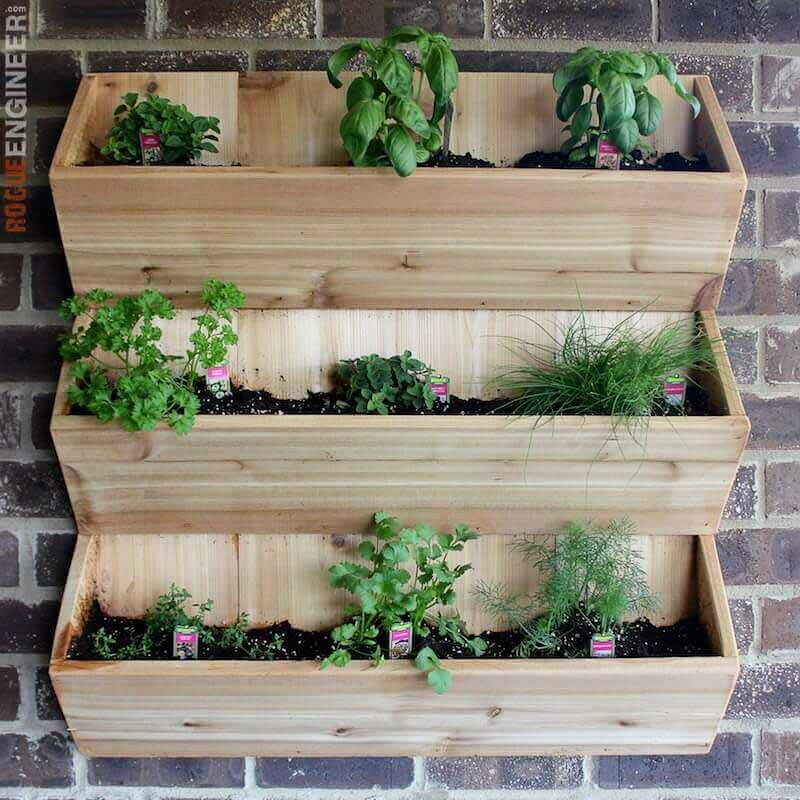 DIY not your thing, but a vertical garden IS your thing? No sweat. 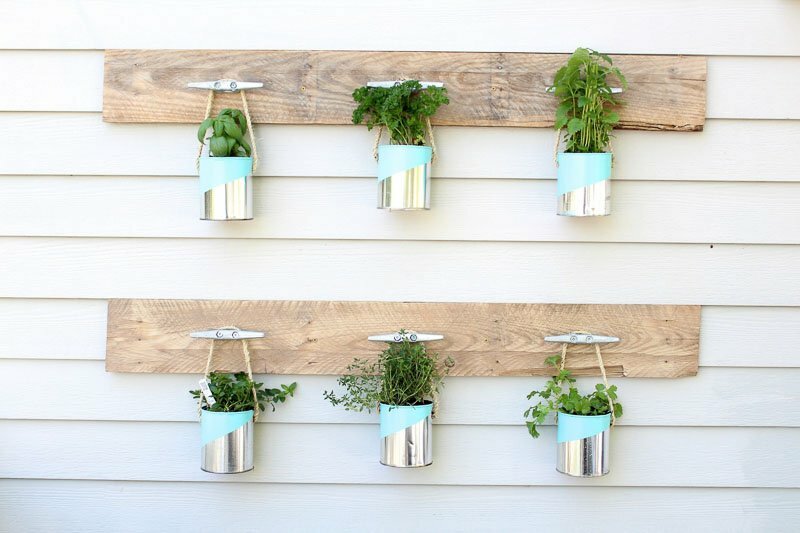 I’ve gathered a bunch of awesome vertical garden kits that you can buy! Simply click on any of the options below to learn more about the planters and shop!